When Sam's girlfriend breaks up with her and leaves her for someone else, her world is turned upside down. It's only through her desperate scheming, and attempts to get her love back, that Sam comes face to face with her emotions, and realizes the importance of letting go. Jonas is a writer/director/producer/musician currently attending New York University's Tisch School of the Arts in New York City. He is pursuing a BFA in Film and Television Production with a concentration in producing. From a young age, Jonas developed an interest in music and proceeded to teach himself to play any instrument he could find. He has been able to combine this passion with film making, as his films are integrated with his original musical compositions. "Press Play" is Jonas' second official short film. He is currently in pre-production on his thesis film "Stay" that he is filming in early April. 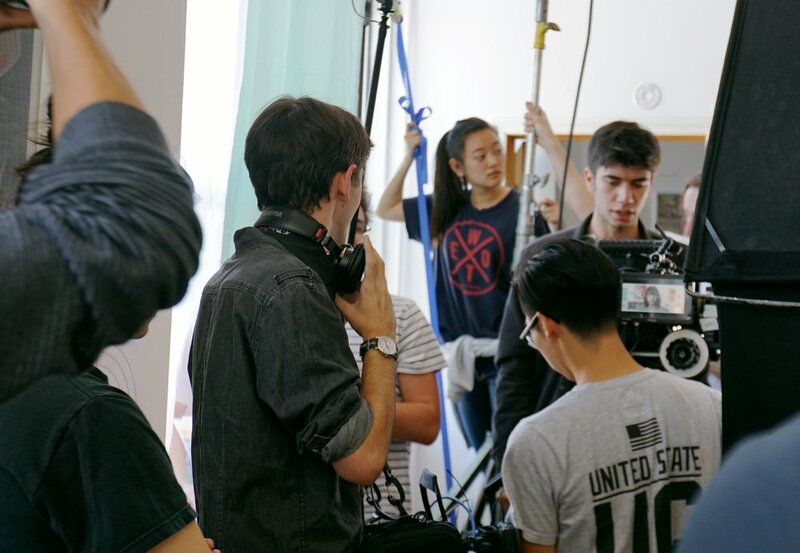 From Taipei, Taiwan, our Director of Photography, Kelvin Lee, has worked on numerous sets during his time in New York. Since his introduction into photography at an early age, he has developed a keen eye for beautiful images and compositions. Kelvin and Jonas met freshman year and soon became great friends bonding over their shared love of Bladerunner and their obsession with Roger Deakins. A great adventurer of the outdoors and nature, Kelvin is currently pursing a career in producing in Los Angeles, CA. After being thrown into the role of UPM on an ambitious advanced away-shoot freshman year, Celeste Erlander fell absolutely in love in with producing. In the past two plus years, she’s produced & UPMed on numerous student & independent projects, both locally and internationally. She just finished co-producing a TV Pilot through NYU's Advanced Television program, and she currently interns at Nine Stories Productions & Buffalo Picture House. The humor and tongue-in-cheek reality of Jonas' story is what first convinced Celeste she wanted to help him tell the story of Press Play. Jonas' inspiration and drive is contagious, and Celeste is very eager to see the final pieces of the film come together. Meet our Associate Producer, Sofia Dieck! Sofia is a producer from Austin, Texas majoring in Film & Television with a minor in Business in Entertainment at NYU's Tisch School of the Arts. 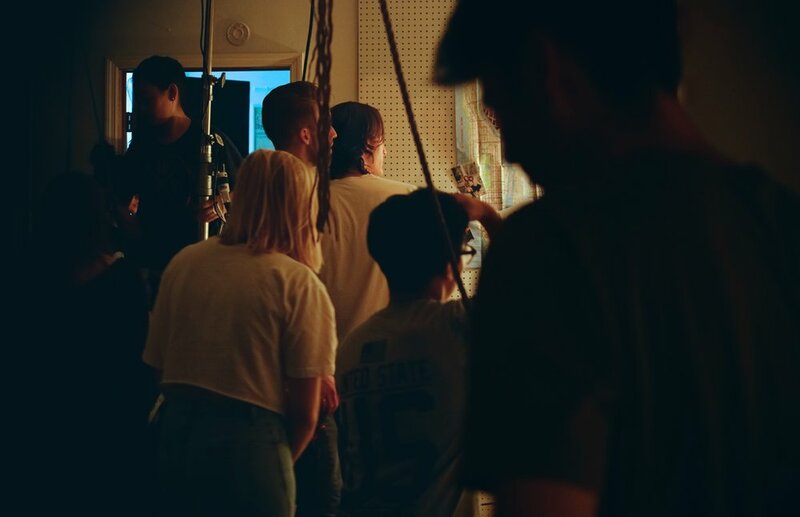 She has worked on music videos, independent and student short films in London, Spain and Los Angeles. 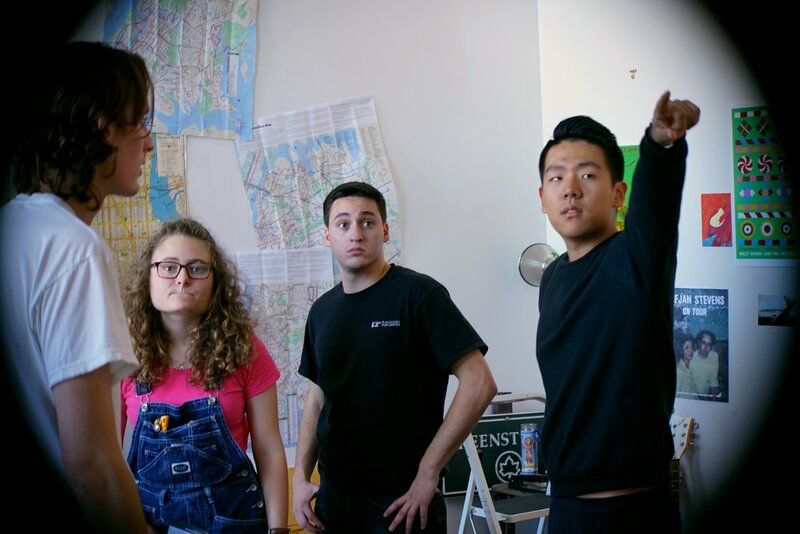 She has also worked as an Assistant Director on multiple NYU student sets. An aspiring producer from Forth Worth, Texas, Annalee Walton is studying for her BFA in Film and Television Production from Tisch, as well as a double minor in Business of Entertainment and Cinema Studies. Amongst the countless projects she helms, she is also currently producing a web series that Jonas will be directing this summer. Rachel Brown is a junior at New York University, pursuing an education and career in film and television production. She has headed the art department on a number of student and alumni films. As production designer, she aims to bring scripts to life with subtlety and cohesiveness, providing actors and directors with rich spaces and settings to explore.